Find incredible deals and discounts on Dell factory and cancelled order systems from the industry’s leading brand, right here at ITC Sales. We offer a wide range of high-quality Dell Workstations including the Precision T3620 Mini-Tower (3000 series), delivering the total package of guaranteed performance and unrivalled value for money. Each of our Dell Precision desktops is backed by an extensive warranty for total piece of mind. Available units are in very limited supply for each model, so be sure to grab a bargain while stocks last. The T3620 is compact and affordable and has all the necessary hardware that you want. It comes with a 6th-Gen Core i5 processor and 4GB of memory for great speed and performance for any task. There is room for two graphics adapters and it has a lot of memory space. You can go up to 64GB DDR4 RAM. It comes with Windows 10 Pro as well as a 1TB HDD. Despite its affordability, the T3620 still delivers without sacrificing speed and performance. It still operates at high speeds and can multitask without an interruption in workflow. These workstations are very versatile and they always have room for expansion. All the standard ports and connectors are included. You can add extra hard drives, graphics cards, and GPU cards that are all available from ITC Sales. 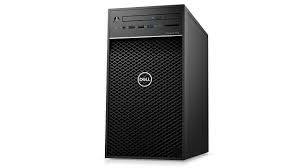 The Dell Precision Tower 3620 is ideal for professionals who want speed and affordability. If you don?t require fancy extras or super speed and extreme graphics for your work, the T3620 is a great machine for you. Dell offers exceptional and high-quality products no matter what. The T3620 may not be as high-end as other ranges, but it is affordable and has everything you may need for basic office work, personal use, and even gaming. You will not be disappointed if you get yourself a Dell Precision T3620 workstation. Our packages and deals are the best you will find online. 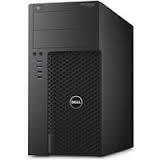 ITC Sales is a Dell registered partner which enables us to sell refurbished Dell products at excellent prices. Buy online or call us on 03333 222 200 for more information.